Hi everyone! 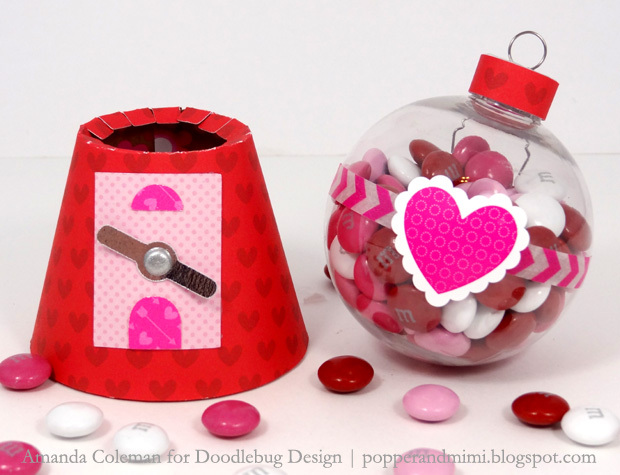 Amanda from Popper & Mimi here with a too-cute-to-boot Valentine's Day treat. 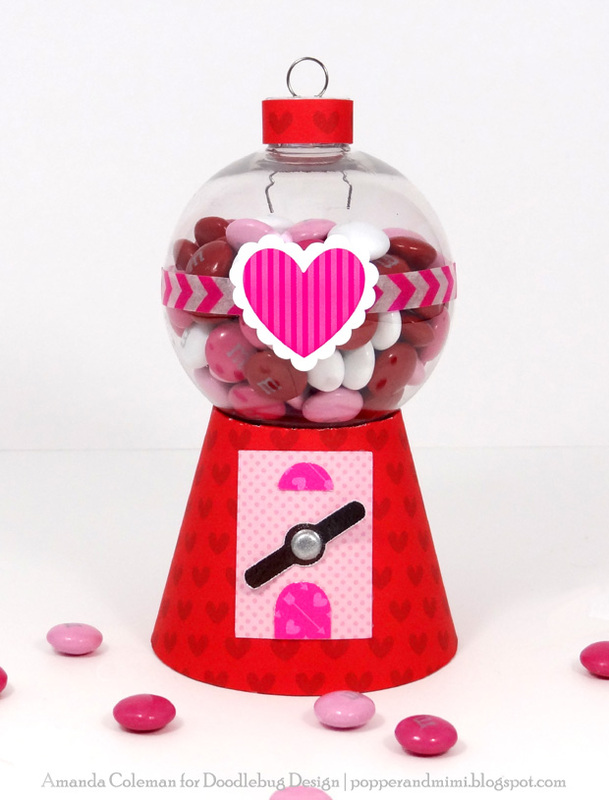 Inspired by the gumball machine icon in the new Sweetheart collection, I decided to make a mini candy machine treat featuring some sweet Doodlebug goodies. 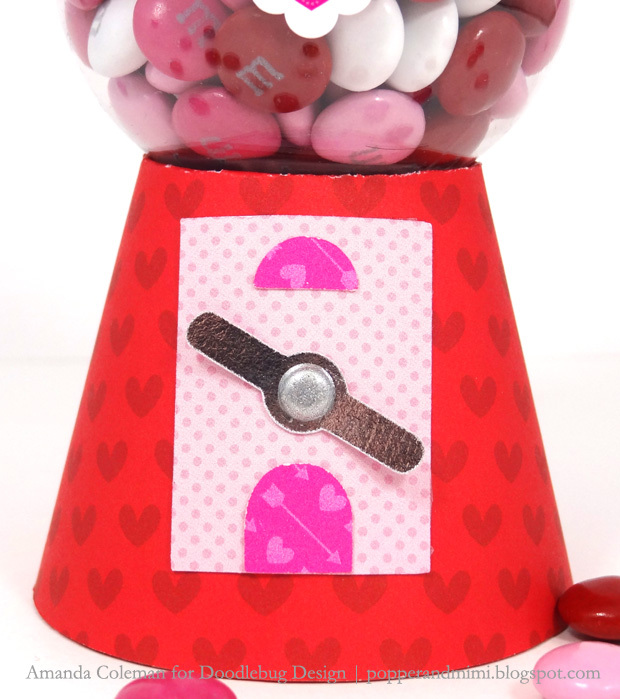 Who wouldn't love to wake up to one of these on Valentine's Day? 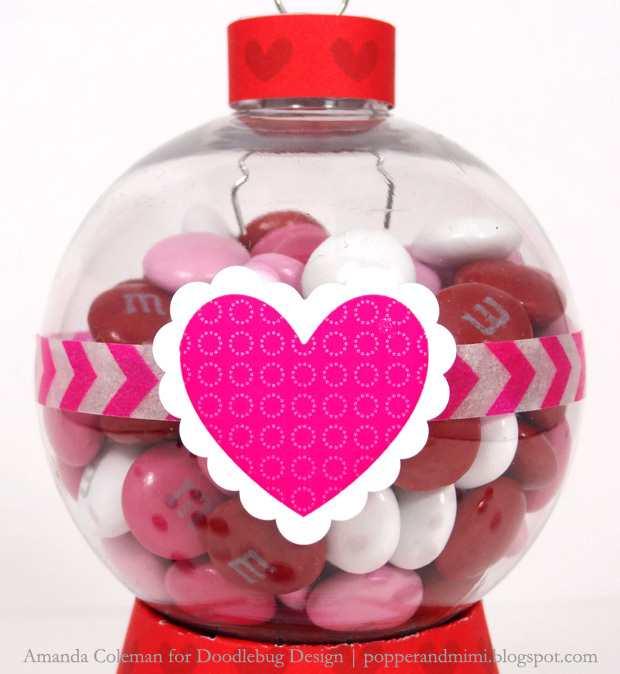 Put one of these together for your kids or give one to your sweetheart on Valentine's Day. 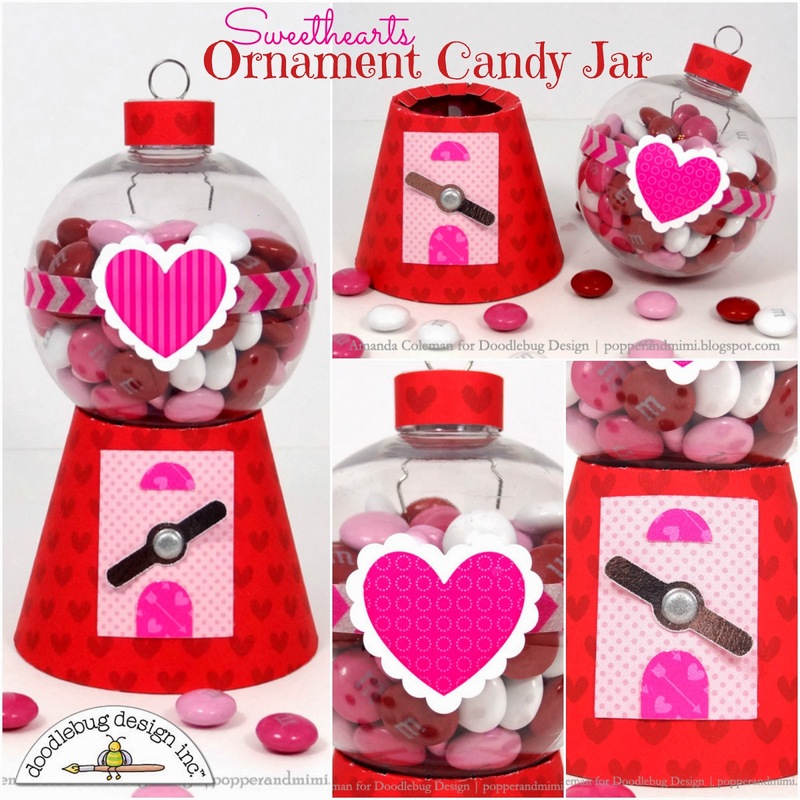 All that's required are a few die cuts and some candy that fits into the ornaments. I embellished the base with coordinating patterned paper and made the spinner from some silver foil paper and a glittery brad. I affixed a strip of narrow washi tape around the center of the ball and added a pretty little sticker. I cut a narrow strip of patterned paper and wrapped it around the top of the ornament. The ornament balances well on the top of the machine base, but the two pieces could be adhered together by applying adhesive to the tabs on the top of the base. This is just so cute Amanda!!! So clever! want! so cute and clever! Super cute!!! Have any instructions for the base?